Lucas Bischoflberger demonstrates how easy it is to start using Telestream Cloud. We have just added a new, easier way to integrate with Telestream Cloud. With LiveSync all you need to do is specify additional AWS S3 source bucket for new or existing factory and we take care of the rest. Anytime you add a new file to it we will encode it automatically to all output profiles assigned to the factory. LiveSync allows you to batch process videos without having to write any code or make API requests. It also comes with an option to back-synchronize files you might already have in your source bucket. Once you set up a factory and define output parameters exactly as you need them, with one click you can encode all previously existing files in source bucket. Once the files are encoded they will be delivered to your selected storage. We strongly recommend you make sure your output is exactly as you need it before enabling back synchronization. It’s up to you to decide when to use LiveSync – either when creating a new factory or changing factory settings at any time. It’s currently available on AWS only but we’re working on Google Cloud Storage implementation as well. When creating a factory, select S3 as your storage option and identify your S3 source bucket. It can’t be the same bucket as the output bucket and has to use the same credentials to access it. Alternatively, you can turn on LiveSync in Factory Settings for any factory you’ve already created. We will need your Access Key and Secret Key only once a to let Telestream Cloud user access the S3 bucket. We don’t store the keys. Once configured, we will use AWS events to monitor the bucket, ingest and encode any new media files placed in it. The easiest integration ever. Nevada City, California, April 7, 2016 — At NAB 2016 on booth SL 4525, Telestream, a global market leader in video transcoding and workflow automation solutions, will debut Telestream Cloud, a video encoding SaaS (software as a service) ideally suited to meet the needs of video production and post production professionals. Telestream Cloud features support for the popular Apple ProRes video format, and extends the reach of encoding capabilities to a wider audience seeking Telestream quality encoding, while offering cloud-encoding scalability for current users. Telestream’s Cloud service offers high quality video transcoding for all formats and codecs, and dynamically scales in response to customer requirements. The service utilizes an easy yet powerful API to automate and integrate into customer workflows. File transfer and encoding times are optimized from any location since Telestream Cloud leverages multiple cloud service providers including Google Cloud Platform, Amazon Web Services and Rackspace. Telestream’s cloud-based transcoding service provides users with a fast, intuitive and highly cost-effective means to start producing ProRes output. For media that resides in the cloud and is destined for OTT distribution, Telestream Cloud takes a fraction of the time to commission and operate compared with an on-premises approach. Telestream Cloud pricing is structured as pay-as you-go monthly subscriptions for quick scaling as your workflow changes with no upfront expenses. Telestream Cloud features certified ProRes presets to deliver high quality video files that conform to Apple standards and ensures trouble free, cost efficient post-production on Apple’s Final Cut Pro platform, as well as other popular editing software packages. Telestream Cloud supports Apple ProRes 422 Proxy, LT, SQ, HQ with resolutions up to 4K. Together creating the industry’s broadest and most advanced encoding solutions. Nevada City, Calif., November 2nd, 2015 –Telestream®, the leading provider of video transcoding and workflow automation solutions, today announced the acquisition of Cloud-based encoding provider, PandaStream. The result of a comprehensive investigation of key suppliers in the cloud-based encoding market, the acquisition accelerates Telestream’s strategy for providing cloud services to complement its on-premise solutions. “After careful investigation of the market and consideration of various companies, we identified PandaStream as a very good fit for our needs. This acquisition fast tracks the development of our existing cloud strategy, enabling the immediate launch of Telestream Cloud. By acquiring PandaStream, we are achieving a quantum progression in our cloud development objectives for both our enterprise and desktop product families,” stated Dan Castles, Chief Executive Officer of Telestream. Existing PandaStream customers can expect the same products and services they have enjoyed under the Panda brand. 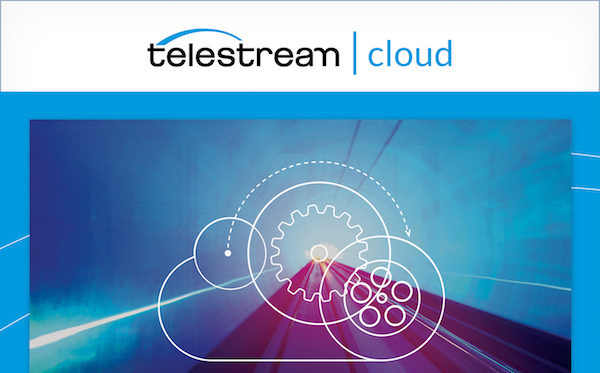 Using the new cloud infrastructure, Telestream will be rolling out additional services over time. The PandaStream team will transition to a separate business unit within Telestream over the next couple of weeks. More information is available at www.telestream.net. Have you ever wondered if there is an option to encode your video and then use an encoded version of it as an input to new encoding? So far it hasn’t been available off the shelf, but it has been possible to get it using our notification system. But why should our customers have to take care of it by themselves? So, what is profiles pipelining? Let’s say you want to send a video to Panda and encode it using 3 profiles: “h264.1”, “h264.2”, “h264.3”, and then you want a video created within profile “h264.2” to be encoded using profiles “h264.4” and “h264.5”. And you also want to create output using profile “h264.3” which needs to be encoded using profile “h264.6”. But it’s not the end. To make it harder you also want to encode video created with profile “h264.5” using “h264.7”. Uhh, it can be hard to imagine what is going on, so for simplicity below you can see an image showing what I mean. Now, when encoding is done, Panda will look if there is anything more to do next in the pipeline. If, for example, encoding to “h264.2” is done, it will become a new input for “h264.4” and “h264.5” profiles and so on. Encodings created using pipelines will have additional field parent_encoding_id which can be used to find out what was the input used to encode or to reproduce pipeline with encodings instead of profiles. If you have any problems with this new feature don’t forget that we are always here to help you.